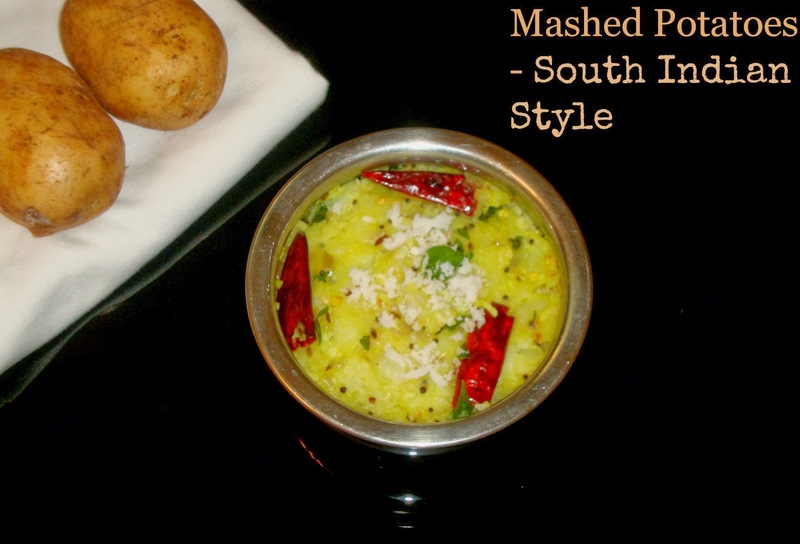 Here is a South Indian variation of mashed potatoes with mild seasoning! 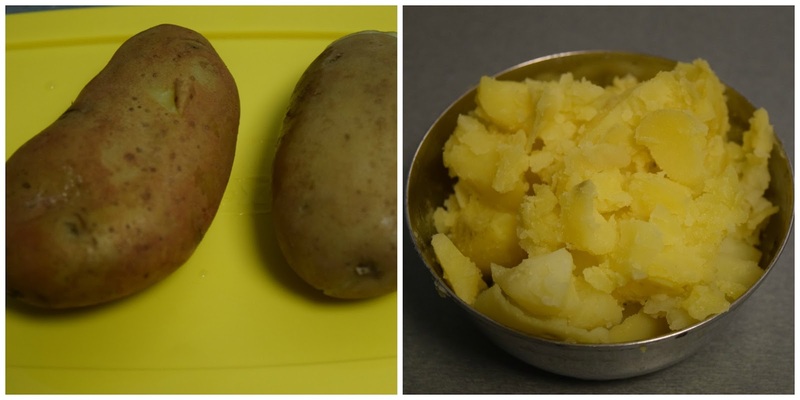 Potatoes are a very good source of Carbohydrates, Vitamin C, Vitamin B6, Copper, Potassium, Manganese and Dietary Fibre; so eat potatoes in a healthy way for its nutritional benefits. After it crackles add chopped Onion, Ginger and red chillies. Fry till Onion becomes translucent. Now add Turmeric Powder, Salt and mashed Potatoes; continue mixing in a low flame till it is mixed properly. 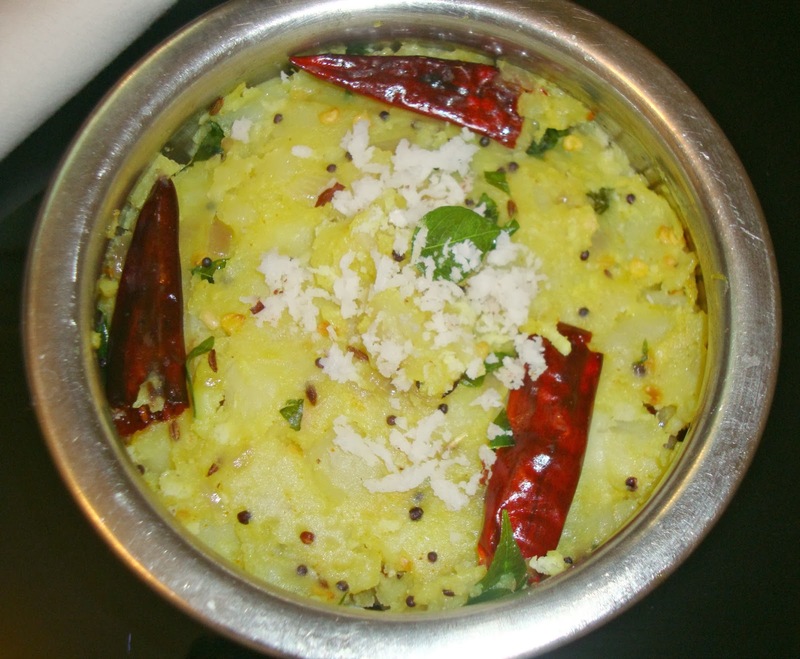 Then, sprinkle grated coconut and give it a thorough mix and serve. Yummy looking, just want to grab a spoon & dive in!! 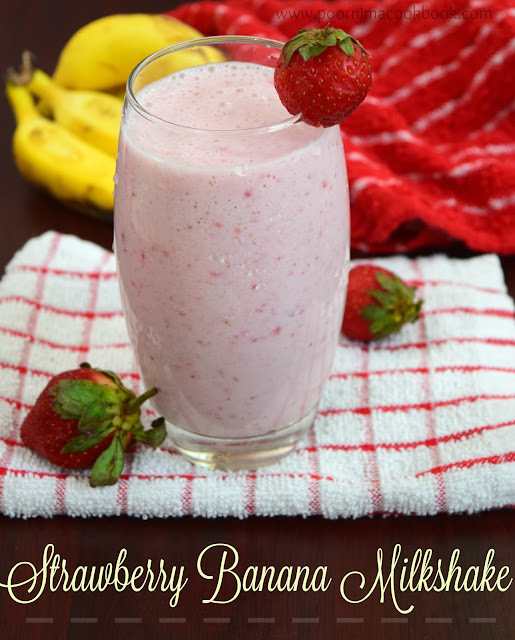 Lovely recipe and pic, Poornima!! Glad to have visited your space and happy to follow you.. Potato podimas is tasty with coconut. tried with poori. 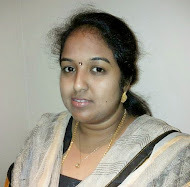 Thank you sindhu,it's your encouraging feedback that keeps me going. So yummy Poornima! Wonderful dish! !